We’re thrilled to introduce the 2018 Oregon Literary Fellowship recipients with individual features on our blog! Out-of-state judges spent several months evaluating the 400+ applications we received, and selected eighteen writers and two publishers to receive grants of $3,500 each. The 2019 OLF applications will be posted at the end of April, and the deadline to apply will be Monday, July 9, 2018. 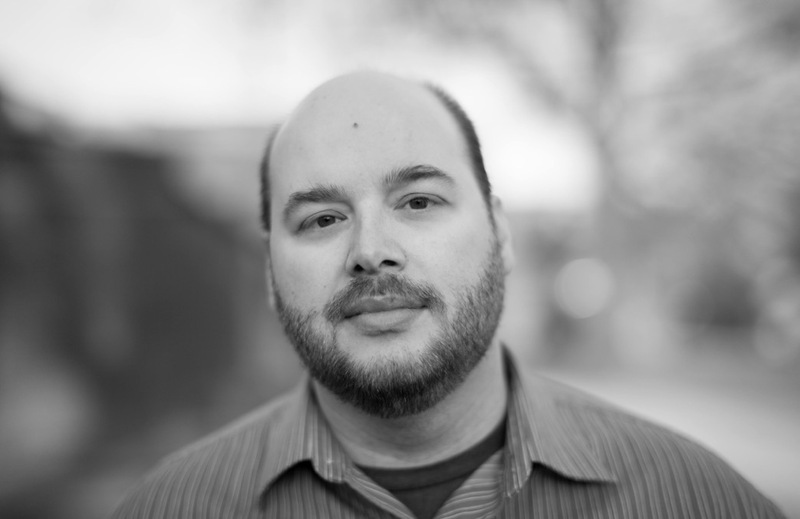 Matthew Minicucci is the author of two collections of poetry: Small Gods, finalist for the 2016 Green Rose Prize from New Issues Press, and Translation (Kent State University Press, 2015), chosen by Jane Hirshfield for the 2014 Wick Poetry Prize. His poetry and essays have appeared in or are forthcoming from numerous journals including The Believer, The Gettysburg Review, Oregon Humanities, The Southern Review, and the Virginia Quarterly Review. He is the recipient of numerous fellowships and awards, including the 2018 C. Hamilton Bailey Oregon Literary Fellowship, and the Stanley P. Young Fellowship in Poetry from the Bread Loaf Writers’ Conference. He currently lives in Portland, OR. Truthfully, they are extremely varied, but I would say I’m very interested in engaging with a specific problem I can’t find a way to answer in any medium other than poetry. For example, my first book, Translation, considered the dissolution of an American family through the lens of Greek mythology. The simple initial conditions of that book were me, a child of divorced parents, trying to figure out how to write about my family. It was a problem that I couldn’t seem to crack in any of the work I was producing. Then, there was a realization that my training and interest in Classics (I received my BA in Classics from the University of Massachusetts) was not disconnected from my poetry. On the contrary, the two things were constantly talking to each other. As a younger writer, I was afraid of this conversation, partially because I was afraid I’d write poems that were too “intellectual” (whatever that means), and partially because, perhaps, part of me didn’t want to explore the subject further. Once I realized that the best way to engage with the problem was to consider all aspects of my past (and the past as a whole), my work and inspiration became much more controlled; a tool to be honed and applied to many different subjects. My creative process has changed very much over the years, but has settled into what might be termed a kind of “sculpting.” I’m a bit of a magpie and am always taking notes about people, places, things, sounds, etc. that I’m encountering in my daily life. When working on a larger sequence of poems or a book project (which is almost always), I try to find time each day to write out these fragmented pieces into larger prose blocks, almost always without line breaks, and generally without any narrative at all. From these larger prose blocks, I can generally “chip away” at what’s actually there, and begin to see a poem that either fits into the project I’m currently working on, or is something completely “other,” which will have to wait for another day, when I can figure out what to do with it. I should say, this process becomes far more streamlined when I’m knee-deep in a project. But, I should also say that projects very often emerge from the process itself, so it’s a bit of a perpetual motion machine. If might be so bold: everything is exciting about receiving a fellowship. When I got the call from Susan Moore, I had just gotten out of Guillermo del Toro’s new film The Shape of Water. When I listened to the message, I must admit I cried right there, outside the theater, for a minute or two. There’s something so impossible about receiving recognition for your work, and perhaps something even more impossible about receiving time and money to continue to work on it. To know that the work spoke to the judges, and that there’s both attention and capital earmarked for you to continue to consider and shape the thing you most love doing, well, it’s hard to say just how thankful I am. I’m working on a lot of new things, but my first in my mind and in my listed goals right now is a new poetry collection that, at its core, examines sound. Over my last ten years of writing, I’ve noticed that almost all the poetry I was reading engaged only with visual metaphors and descriptions. I become fascinated with the idea of writing a book that would consider auditory metaphors and descriptions more prominently. This work has connected me with biologists and audiologists at the National Park Service, specifically with their Night Skies and Natural Sounds division, who do a lot of work with natural sounds and sound pollution in American National Parks. Thus, the goal is to create poems that produce a kind of portraiture of these places in the American West using sound, both as a creative metaphor and in the meter and poetic devices used to illuminate the soundscapes. My biggest piece of advice would be to be considerate of the purpose and arc of your work when selecting pieces to send, and when describing your process and/or intent. Over years and years of being an editorial assistant, assistant editor, all the way to editor (at various magazines), I can say the poetry that seemed to be entirely considered, intentionally organized, and eminently exigent was the work that most spoke to me (and to most of the people I worked with). Of course, the first rule was always to send your best work, but I think the second rule, perhaps even 1A, is to know why you’re sending that work, how it’s crafted towards your overall message, and how it will impact its intended audience. In short, the wheeling and winding lyricism in the poetry of Matthew Minicucci is singular. From poems about the human ear, whale hearts, a grandfather’s failing health, how we slip into silence “like a slow/climb, the single-stroke engine sputtering, spilling/oil; falling behind”, these are poems of the most human of human conditions. How do we live, survive, age, and remember ourselves and selfhoods when memory is a trap of language equations? Obsessed with hearing and sound, these poems are built on the concatenations of sound, where the sea is “An actor, briefly/of foam that roams and all/this talk of Rome means/nothing to you. A bone; a bucket of loam”. The poet also writes that “There’s a sadness that smells/like rose water” but in the midst of this there are purpled skies, predators pursued by their prey, and the other small things—like a lover’s blink—that cleave us to this life.